Boxed Logo Sweater GREY - SIGN. 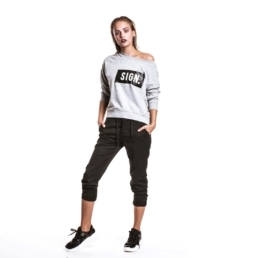 This sweater with a BOXED LOGO is a perfect fit for women. You can wear it fit if you choose a smaller number and as a oversize if you choose a bigger number.